Finding great books shouldn’t be. 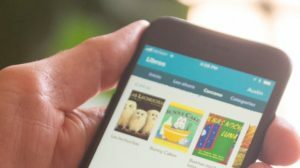 Get the Make Way for Books App and start reading today with your baby, toddler, or preschooler. To raise smart and kind kids, you don’t have to be an expert or pay for expensive classes. All you have to do is read to your child. Great books at your fingertips. Reading is the key skill for all future learning. With the Make Way for Books App, you have unlimited access to high-quality books to share with your child. Share our “Read Now” books anytime, anywhere. Learning goes beyond the book. Our exclusive in-book tips are designed to help your child build serious skills. Click on the tips as you read the books together to find specific ways to build your child’s brain by asking questions, talking, singing, and playing with your child. Based on the latest science, the tips build your child’s literacy, language, and social-emotional skills. 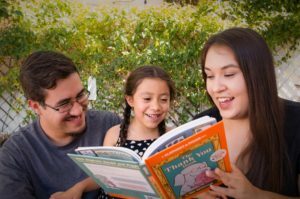 Using our books and tips will help you read with confidence and become your child’s favorite storyteller. Make everyday moments into learning moments. Love is the key ingredient for learning. The loving interactions you have with your child—reading, talking, singing, playing— build the foundation of your child’s brain. With the Make Way for Books app, you can share learning activities with your child throughout the day using what you already know and have at home. Our activities are designed to be easy and inexpensive to do at home or while you are out and about, and they build serious skills that children need to be ready when they get to school. 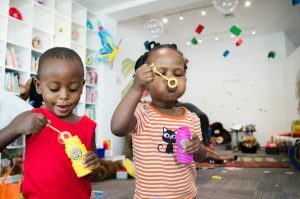 Our activities are based on research and when paired with your interactions, they build early literacy skills like alphabet knowledge, vocabulary, print concepts, and comprehension, as well as critical social and emotional skills. Learning begins before school starts. And you are your child’s first, most essential teacher. Research shows 90% of a child’s brain development happens by age five. During the first three years, there are one million connections happening in your child’s brain every second. These connections wire your child’s brain for success. 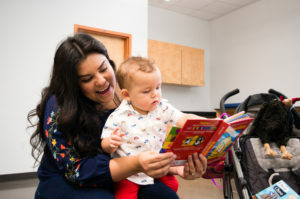 When you talk, sing, read, or play with your child, you are building these critical connections. Every book and activity in the Make Way for Books App includes a bite-sized piece of the science to help you understand exactly how you are building your child’s brain. 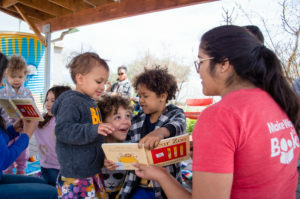 Make Way for Books is an early literacy nonprofit organization that has over 20 years of experience helping children read and succeed, and helping families prepare their children for school. Everything in our app is based on early literacy research and years of work with children and families just like yours! Download the Make Way for Books App! Books and activities to get your baby, toddler, or preschooler ready for school.